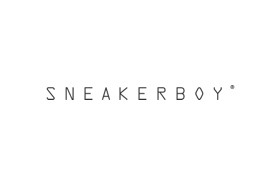 The worlds first luxury sneaker and streetwear store built for the digital age, Sneakerboy® merges the efficiency of the Internet with the tangibility of the physical experience. As a retail model, Sneakerboy® offers several firsts for today’s digitally accustomed luxury consumer who is able to shop either in-store or on the move – via the world’s first seamlessly integrated digital luxury platform. A fully immersive experience, Sneakerboy® stores have no fixed point of sale, but rather, work like a showroom; a luxury shrine where customers can touch, feel and try on any shoe style and size from a gallery of samples housed in-store. Stocking the worlds leading international brands and fashion houses including Alexander McQueen , Balenciaga, Fendi , Common Projects, Raf Simons, Saint Laurent, Valentino, Yeezy and more.